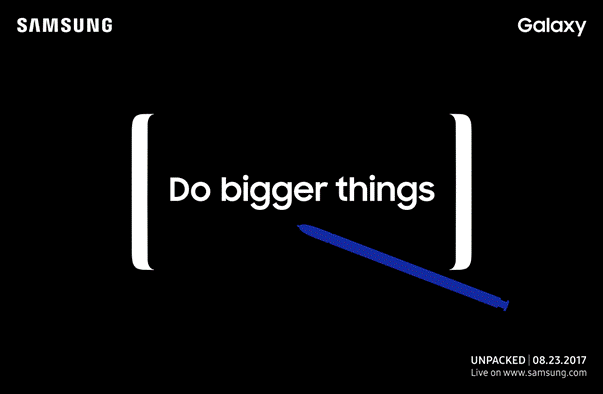 After months of rumors and speculations, we finally have an official date for Samsung to reveal the Note 8: August 23. Samsung today sent out invites to journalists for an announcement event that will take place in New York at 11AM ET. The rumor mill specs are about what you’d imagine, with some of the usual mild spec boost compared to the S8. The dual cameras are particularly notable – it’ll be interesting to see whether Samsung takes the wide-angle approach of LG, the telephoto portrait mode of Apple, or something new altogether. Also note the battery size: Despite the fact the phone has a slightly larger screen than the Galaxy S8+, it has a slightly smaller battery Samsung does not want to repeat its mistakes with the Note 7. While most of the specs aren’t particularly surprising, the Note series is often defined by its unique software. Samsung has allegedly made split-screen multi-tasking easier than ever on the Note 8, so we’re curious to see what the company has in store. We’ll be at the event a month from now, so stay tuned to TNW for more as it comes.